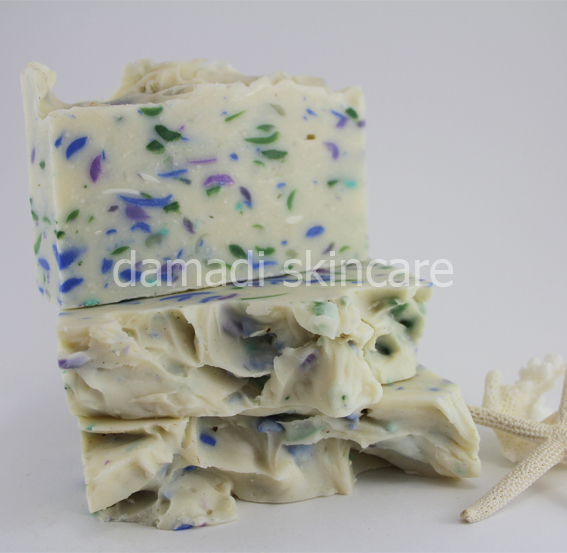 Studded with a potpourri of multi coloured soap shreds, this soap is scented with Citrus and Ylang Ylang essential oils. Ylang Ylang literally means Flower of Flowers, a blossom so beautiful it was named twice. The appearance of this soap may vary from one batch to the next depending on the soap shreds used.